Have you ever seen a Camaro ZL1 table lamp with pink and baby blue? 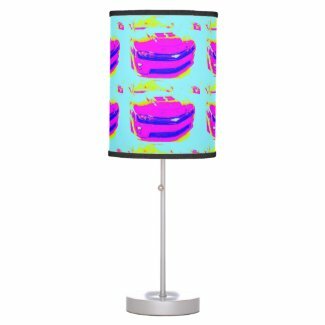 This Lamp-in-the-Box Table Lamp is on my Zazzle store. I made it from an altered photo of a Chevrolet Camaro ZL1 that I saw at my local dealer. Posted on January 8, 2014, in Chevrolet Camaro ZL1, Chevrolet Camaro ZL1, Premium shirts, prints, mugs, caps, etc. - Quality Guaranteed and tagged baby blue, buy store "for sale", chevrolet camaro, Chevy, custom table lamp from Lamp-In-A-Box, Desk Lamp, fade resistant ink., film polyester, or linen lamp shades, Pink, rice paper, zl1. Bookmark the permalink. Leave a comment.